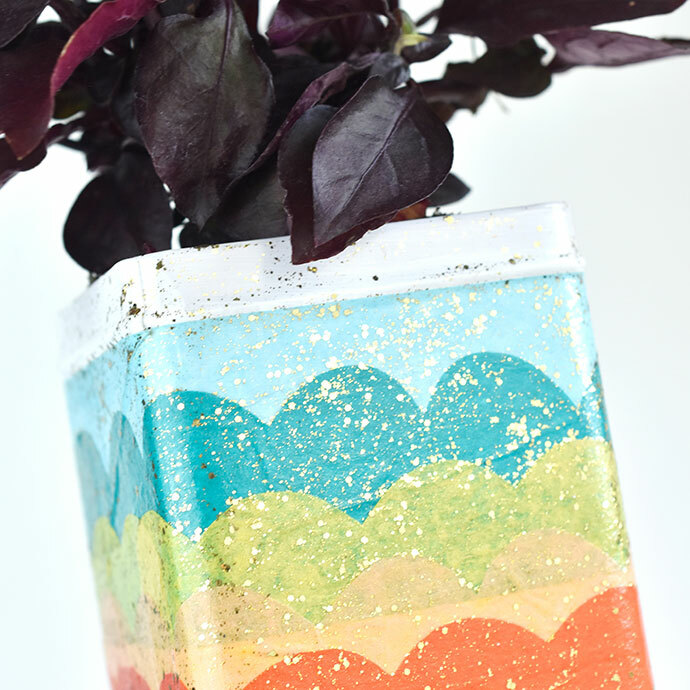 Transform a small tin into a sparkly mermaid-themed planter with this easy DIY! I don’t know if mermaids plant seaweed to keep as houseplants, but if they did, they’d use adorable containers like this. Of course, that’s assuming that mermaids also drink tea and are looking for a way to repurpose the adorable tins that some teabags come in. 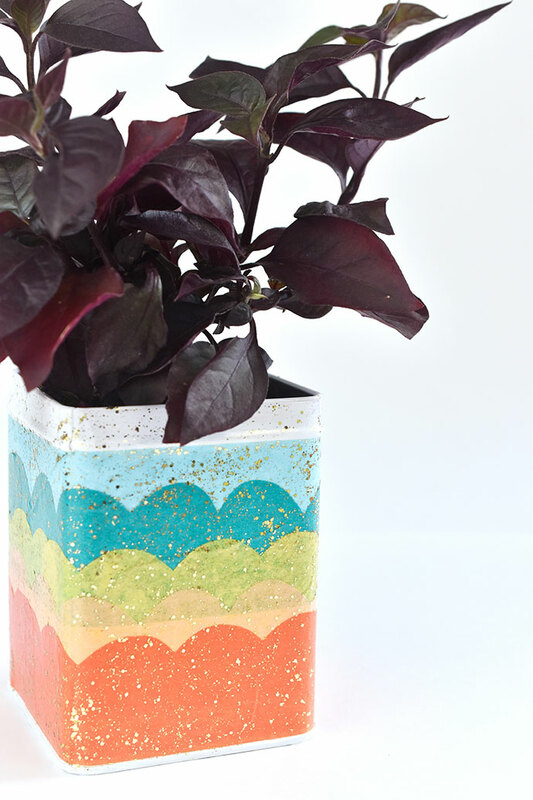 With a little decoupage and a few sparkles, a canister headed for the recycling bin becomes a planter covered with mermaid scales and magic. It’s perfect for small houseplants and succulents. 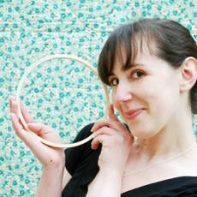 Of course, you could use your finished tin to hold other things too! 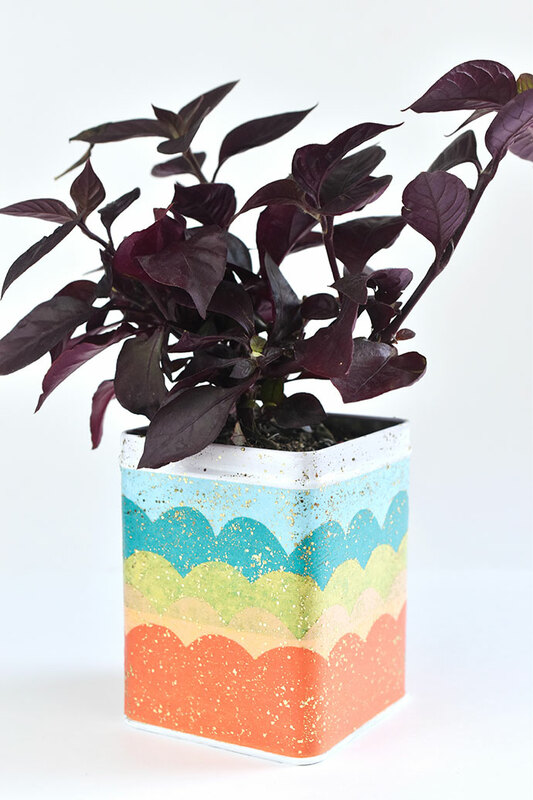 Choose your favorite mermaid colors and get your planter started! 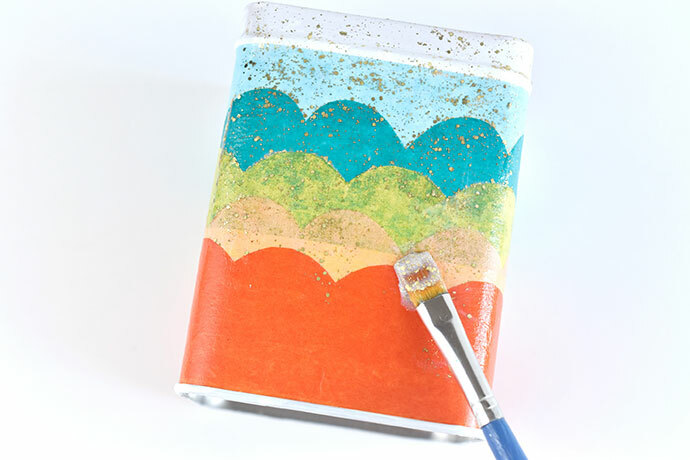 Paint the empty tin with white paint (or another suitable base color). This helps cover the printing on the tin. Add as many coats as necessary until you can barely see the printing. Let each coat of paint dry before adding another. 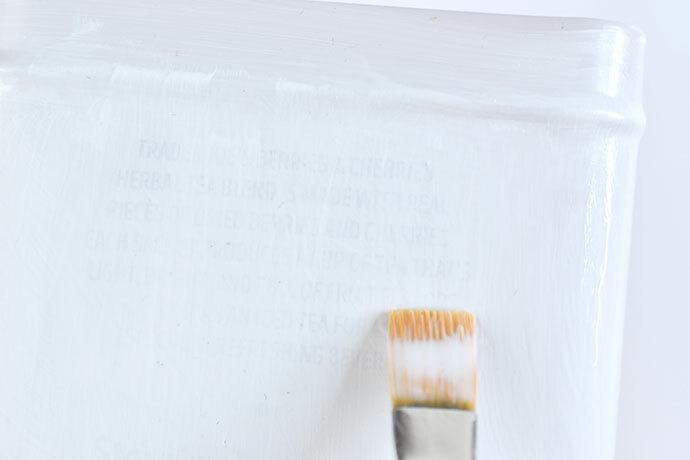 Be sure to rinse your brush between coats so the paint doesn’t ruin your paint brush. 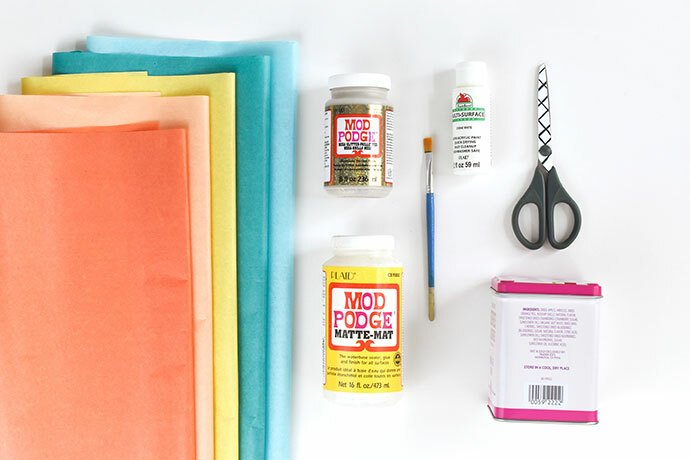 Cut 2″ wide strips of different colors of tissue paper. Next wrap a strip around the tin and trim it so there’s a small amount of overlap. 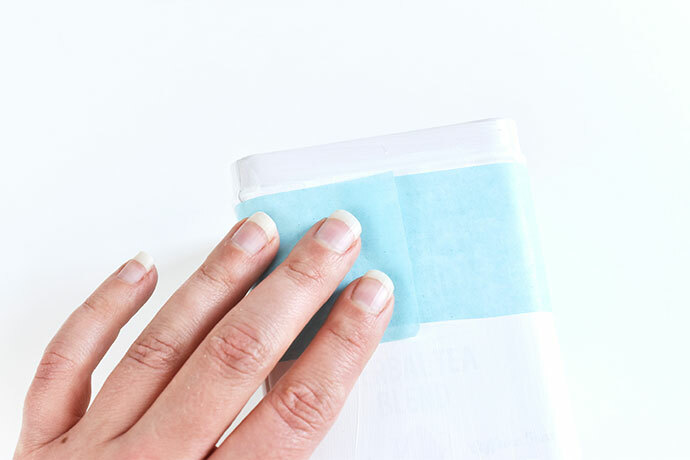 Use this strip to cut the rest of the strips to the same length. The number of strips you need is determined by the height of your tin. This small tea tin used five strips. Set aside the strip you want at the top of the tin. Fold each of the other strips a few times without creasing the folds. 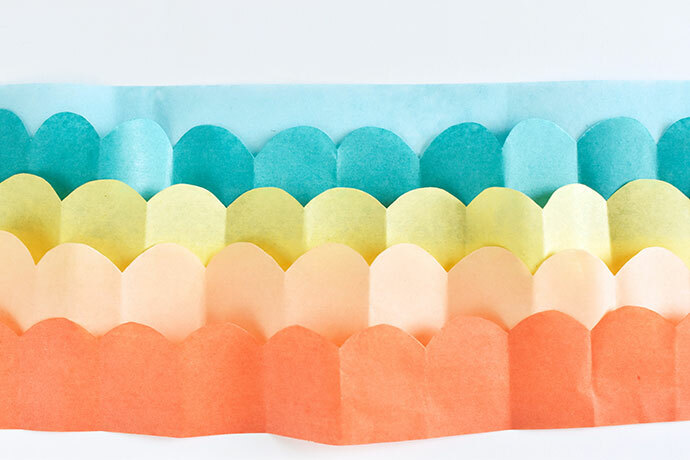 Fold it down to about 1″ across, then cut a scallop on one end. Lay out the strips of tissue so they overlap in the order you want. Remember that darker colors will show through lighter colors a little. Brush Mod Podge onto the top 2 inches of the tin. For the example, the glue starts under the lip of the tin. 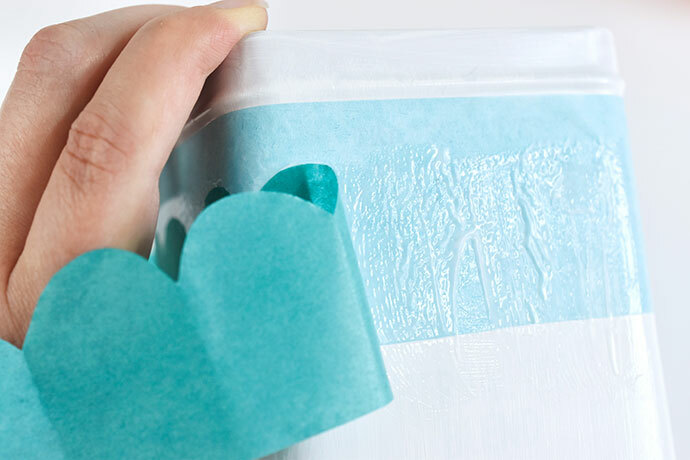 Carefully place the first (non-scalloped) tissue paper strip on the wet glue. Try to keep the edge as straight and even as possible. Add a little glue to overlap of tissue. 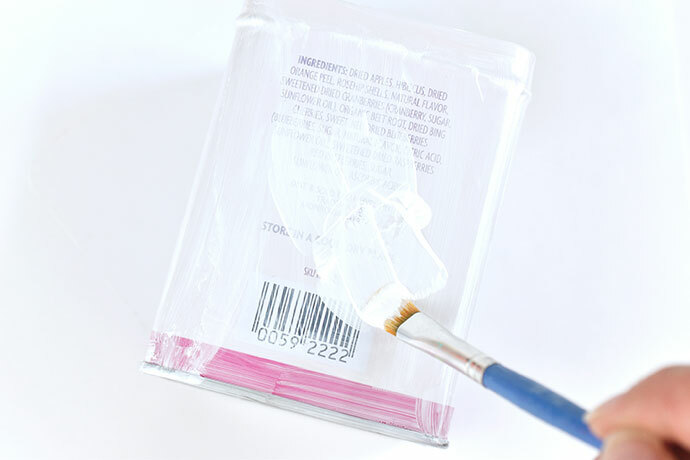 Brush more Mod Podge over the first strip of tissue and onto the tin below the tissue paper. 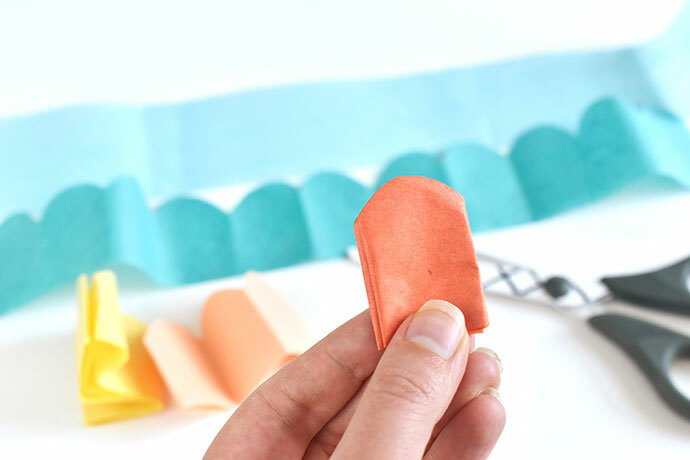 Place the first piece of scalloped tissue paper onto the glue. Keep it even and smooth out any wrinkles. 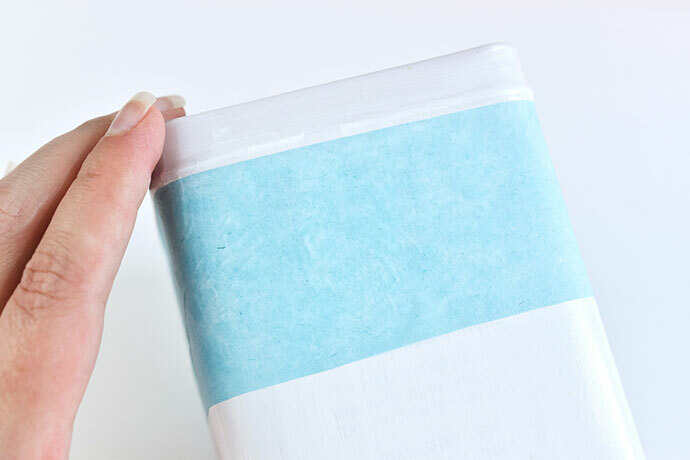 Once you place the tissue paper on the glue, you can slide it a little, but try not to peel it off because it will tear. 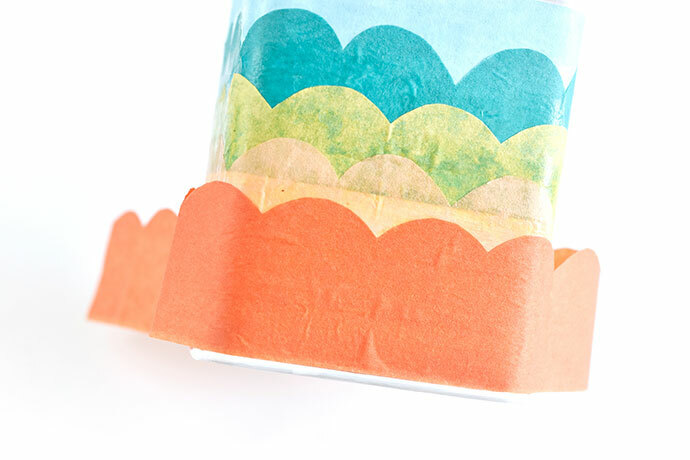 Continue adding glue and tissue paper strips until the tin is covered. 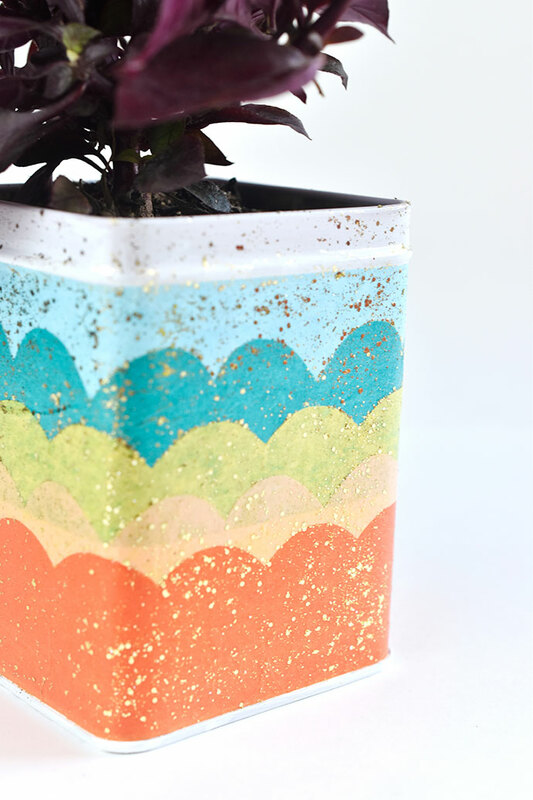 Finish the plant tin with a coat of Glitter Mod Podge, which adds a bit of magic to this mermaid-inspired planter. For extra glitter, add a second coat. 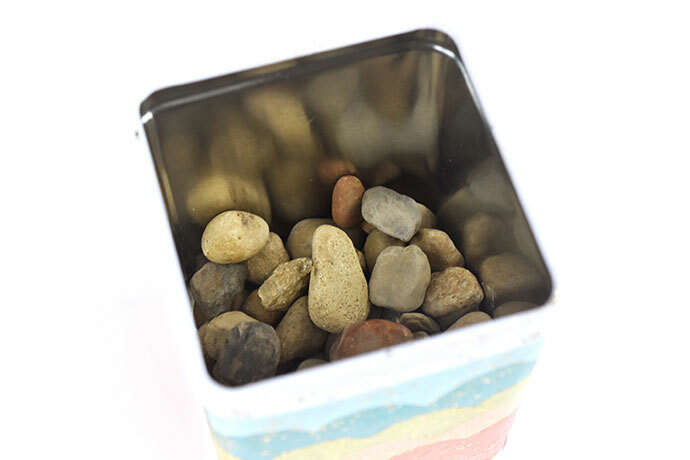 After the glitter top coat is dry, add some stones to the bottom of the tin. This provides drainage for your plant. 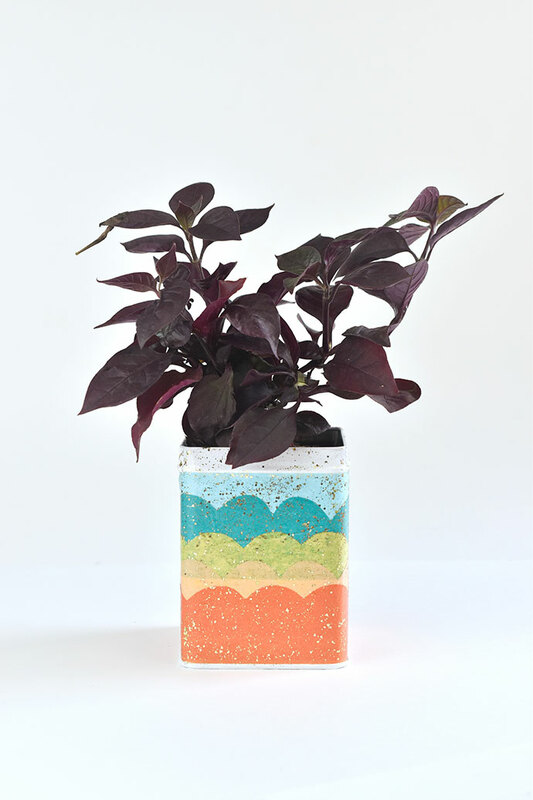 Then, plant your favorite small plant or succulent inside! 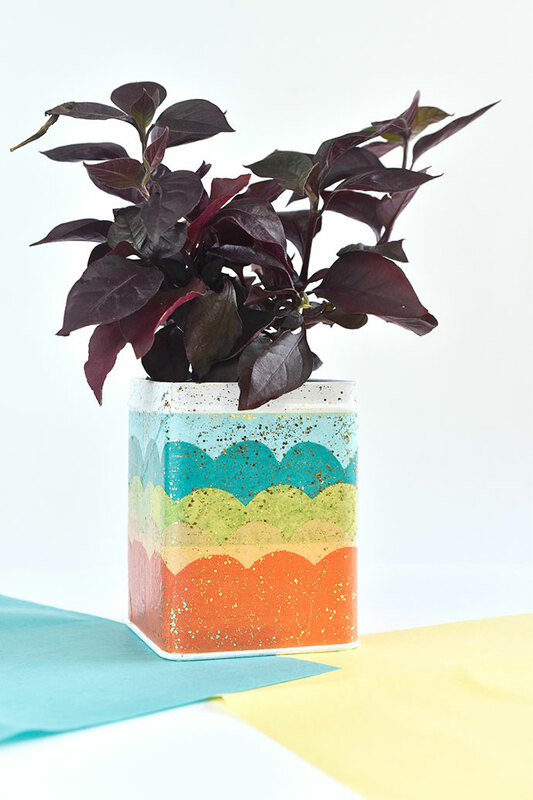 Now you have a container that brings a little sparkle and some growing fun to your home. 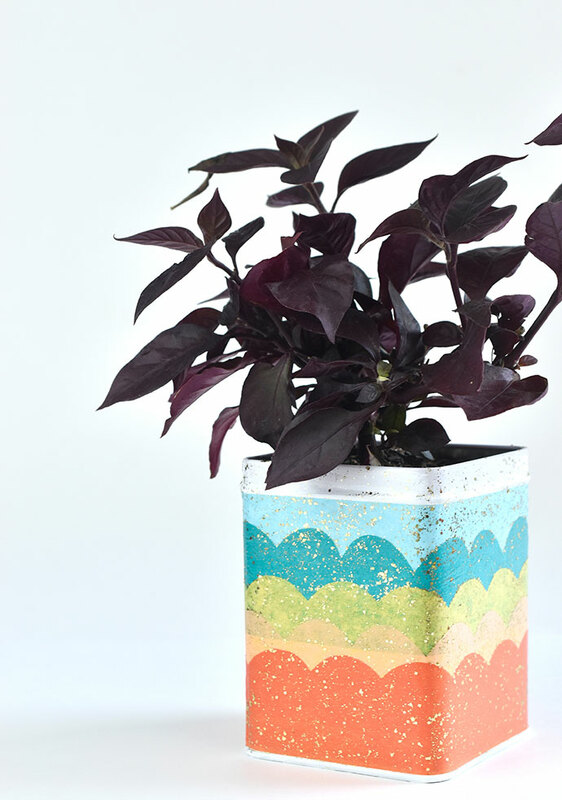 You could even make a few of these to use as a mini herb garden in your kitchen! 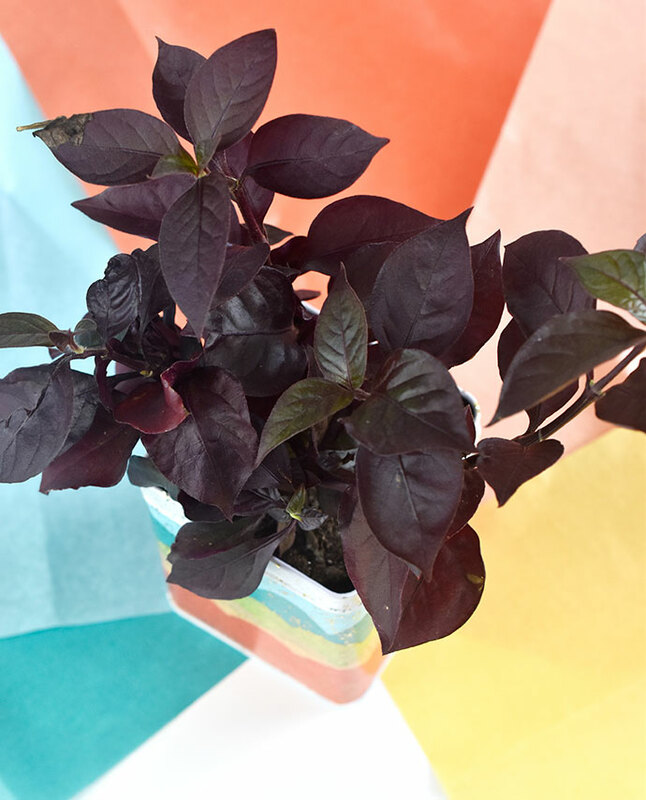 If keeping plants alive isn’t your thing, this also makes a great pencil cup. 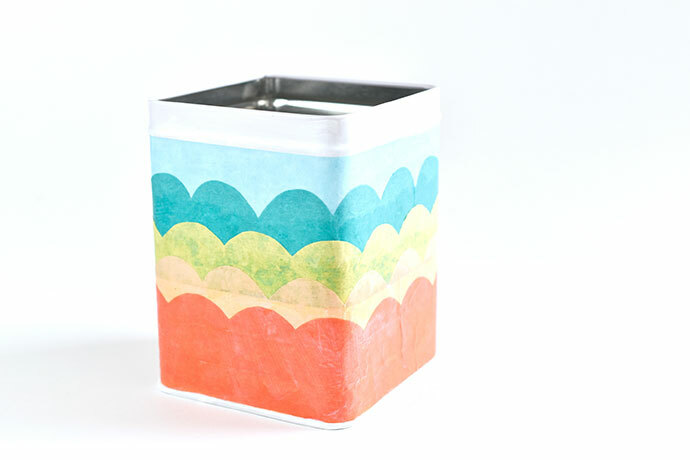 And if you decoupage the cover of the tin too, it’s a fun little treasure keeper! This pot is darling! I totally want to make one for my daughter’s room!